Gizmos, gadgets and the likes. I and my better half are suckers for a gadget as you will soon find out. For the first time in over 10 years Alexander Akimov turned the black switch which sent all 211 boron control rods into the core of Reactor number 4. To those who had worked at the Chernobyl Nuclear Power Plant for as long as Alexander, there followed a familiar sound: the sound of a mighty RMBK fission reactor winding itself down. Probably none of the others gathered in the busy control room could hear it. Perhaps only his long-time friend and colleague Leonid Tuptinov will have shared in the moment. Alexander and Leonid had shared many moments in the intimidating space which formed Control Room 4. Panel after panel filled with switches and buttons. All available wall surfaces covered in lights and gauges – the biggest of them all the top down view of Reactor 4 itself. Each glowing light representing one of the behemoths’ veins, whether it be a control rod or one of the 1661 pressurised fuel channels filled with Uranium. Some of the others gathered were friends, but most were colleagues, a few barely even known to Alexander. They had all been invited to the plant this April afternoon to witness an event, the ceremonial shutdown of Reactor 4 for the final time. After today only the fifth and six reactors would remain in service at the plant, providing a mere fraction of the power once generated for the people of the Ukraine. The sound of the reactor winding to a halt was swiftly followed by polite applause. Alexander had been chosen to perform today’s task as the reactor’s longest serving shift captain. For 15 years he’d led his team in performing their duty. In keeping the power on; in keeping the people of near-by Pripyat safe. There had only been one near catastrophe in his 15 years in charge. That day was 30 years ago to this. The events of that Saturday morning were swiftly marked as classified and left to gather dust in government vaults, and it was likely that only Alexander and Leonid even knew this was the 30 year anniversary of that moment – a moment when a nearly new Reactor 4 looked set for potential disaster. However, the quick thinking of the young shift captain had saved the day and possibly re-written history. 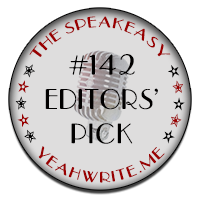 While others in the control room that night panicked and seemed at a loss to explain what was happening, Alexander took the sole decision to hit the AZ button – to initiate an Emergency shutdown. It was a risky move to undertake. On that evening Alexander had been outranked in the control room as the plant’s deputy engineer was on hand to oversee an apparently routine test on the reactor. That test had caused some dissension in the control room and with the reactor becoming increasingly unstable Alexander chose to bring it to an end. The deputy engineer was initially furious and threatened holy retribution on his insolent subordinate. For the better part of two months Alexander was under investigation, his entire career on the line – his young family’s life in the worker’s town of Pripyat in the balance. However, the team from Moscow’s Kurchatov Institute eventually completed their analysis of the reactor data from the night of the test, and it proved Alexander had been right to shut the reactor down. If he hadn’t the reactor would likely have boiled dry and exploded. The consequences would have been unthinkable. But not many of those who continued to smile and applaud knew anything of this. To them Soviet reactors had been state of the art – nothing could or indeed had ever gone wrong. The man who came forward to shake Alexander’s hand was Vladimir Pravik. The tall, dark-haired man had started his working life as a trainee fire cadet at the Pripyat No. 6 station. He soon progressed to become part of a team at the nuclear plant’s own station. By the age of 24 he had risen to command of that team. Vladimir’s family were very close to his own. Alexander’s wife, Luba helped to care for Vladimir’s mother when she was in her final years. Vladimir and his family had moved to Kiev as his career in the fire service continued to progress. He now stood next to Alexander as the head of all fire services in the Kiev Oblast. He was a very important man, yet more important than any of that was that he remained Alexander’s friend. Before Vladimir could answer the pair were interrupted by the woman from the Energy commission. ‘One group photo please,’ she said, ushering the assembled grouping together, with Alexander and his proud wife Luba at the front. With the photo shoot over the ceremony was also soon at an end. Alexander and Luba said their goodbyes and were walked back to the main reception by the director of the plant. Waiting for them was the same black limousine which had brought them to the plant earlier that day. While the Akimov’s blue VW remained outside their apartment block on Hidroproektovska Street in Urban Area 5, today they had been accorded the full VIP treatment. They had once been offered another apartment, when Alexander was promoted to Deputy Chief Engineer, in a prestigious block overlooking Lenin Avenue. However, Alexander liked living where he lived. The Avengard Stadium was only a five minute stroll and Alexander and his sons were devoted followers of FC Stroitel Pripyat. The local team had once reached the top division in the region and were only one match away from promotion to Ukraine’s premier football competition. Crowds of over 15,000 were the norm as people came from as far away as Poliske and Ovruch to watch the team. However, when their chance came the match was cruelly lost and since then they’d never again reached such heights. Yet Alexander remained loyal and along with 4-5000 other fans he continued to cheer on the “builders” of Pripyat. Passing the bus station they soon reached Lenin Avenue. Once draped in Soviet flags and pictures of glorious leaders, the avenue wasn’t quite the sight it was back in the heyday of the Soviet Union. The town of Pripyat wasn’t quite what it was. At its peak with all six reactors online producing almost all of the power required for the Kiev Oblast, there were over 50,000 inhabitants. The town was truly a city and it was a city many others wanted to live in. From a distance it was seen as a place of luxury. Shops were always full, the apartments spacious and immaculately maintained. Pripyat even had a riverside cafe and sailing club. Hydrofoils sped up the Dnepr and Pripyat rivers . It really was a place of, and for, the future – the USSR’s model nuclear settlement. Those were days Alexander sorely missed. With the plant in shutdown and only two reactors remaining active there simply wasn’t the work to go around that there once was. People had moved away, some apartments now lay empty, areas of the city almost ignored and overgrown. The population was now under 30,000 and each year another few hundred would leave. Some were worried that this model city could become a ghost town. Alexander though remained optimistic new opportunities would be brought to Pripyat. The city couldn’t be allowed to wither and die. The Akimov’s transport turned left onto Kurchova Street before a right onto Serzhanta Lazarieva Street. Skirting the edge of the main square they were soon passing the back of the Post Office. Some children played on the pavements. On a bench an old couple argued over an almost empty bottle of vodka. In its prime these streets would have been filled with young families. Mothers pushing prams. Father’s rushing to get the bus to the plant. Glimpses of the Ferris Wheel in the amusement park appeared fleetingly between buildings. The Wheel had somehow survived thirty harsh East Polesian winters. The cabins had changed from yellow to blue and now a faded red. But the wheel still went round each Mayday, even if one or two of the joints creaked – a common occurrence for everything which is old, as Alexander knew well. His own bones were stiffer than you’d expect a 65 year old man’s to be. Luba was convinced it was because of radiation he’d soaked up over the years at the plant. Alexander though wasn’t having any of that nonsense. He was just getting old. The limousine came to a halt. A woman and her small child came out of Alexander’s block. She didn’t stop to say hello – he’d told his neighbours what was happening today and asked them not to. Luba would look forward to filling them all in later. Alexander and his wife got out of the limousine and waved the driver on his way. Nearby the flags atop the Avengard Stadium walls fluttered in the midday breeze. ‘Come on’ said Luba. ‘Let’s get inside and I’ll get dinner ready’. Luba sat engrossed in the flickering TV set. These days satellites meant that the residents of Pripyat could watch the same programmes as those anywhere else in the world. Luba’s current favourite was something about a rich American family, the Kardashians. As best as Alex could work out they were famous for trying to be famous, he just didn’t get it. Alex very rarely watched the television. For much of his life what had come out of the screen had simply been one form of state propaganda or another. Not that Alexander had ever been anything than a totally committed communist, but that didn’t mean he had to enjoy watching what such a society served up to its population. Alex much preferred listening to classical Russian music on the wireless, reading science-fiction novels and doing what he was doing just now – sitting out on his balcony, smoking his pipe and watching over his city. In the distance the lights of the power plant chimney stacks flashed red to warn low flying aircraft. Even from this far away Alexander could clearly make out one particular stack. One very specific red and white painted chimney, that of Reactor 4, his reactor. Even though he’d known for over a year that today would see the reactor enter the decommissioning process, it still broke his heart. Alex had always been a staunch advocate of nuclear power, no matter the flaws, perceived or otherwise. To him today didn’t mark progress, it signalled regression. A day when man chose to give in to the challenges of the future. At moments like these he would remember all those who had shared the hopes and dreams of a young, vibrant nuclear industry. His great friend Leonid, the long serving plant manager, and to many “Mr Pripyat”, Victor Brukhanov. There was also his superior for several years, Anatoly Dyatlov. He was of course a man who once tried his best to get Alex removed from his post, but after that the two men developed an understanding and slowly a begrudging respect was formed. There were many more, most of whom had slipped from the forefront of his memories, but they remained in there somewhere. They too would have shared his sadness, his disbelief that days like today were even considered, let alone come to pass. It really was an unspeakable travesty. A piercing chill suddenly ran through Alex’s body. The stars above shone bright and clear against a dark sky. Looking down from their 7th floor apartment, Alex watched as a car revved and sped away towards the city centre. Luba then joined her husband and placed a warm blanket on his legs. She smiled as she pulled up a seat next to her Alex. Across the city a child’s cry echoed in the still night air. This story is a short re-imagining of a world where the Chernobyl disaster didn’t happen. When pressing the AZ button in control room 4 didn’t cause the worst nuclear accident the world has ever seen. I wrote it as a fictional contribution to my new website all about exclusion zones, of which the Chernobyl Exclusion Zone is one. For more please go to exclusionzones. This entry was posted in Fantasy World, Internet, News, Politics, Real World, Story Time, Technology and tagged Alexander Akimov, Chernobyl, Creative, Disaster, exclusion zone, Fantasy World, Fiction, Flash Fiction, Nuclear Power, Pripyat, re-imagining, remembering, Short Stories on August 13, 2017 by paulmclem. Jellybean Has Arrived on Xperia! Back on the 10th of February I blogged excitedly about the imminent arrival of the Jellybean version of the android operating system (4.1.2) on Xperia phones. For the next few weeks I pressed T-Mobile for some sort of timescale. Their response was unhelpful. Great! To be honest I almost began to give up on ever seeing my Xperia-T announcing a system upgrade. Low and behold late one night last week it arrived. As I was on holiday at the time with a creaky signal I debated momentarily whether I should wait until I got home. Of course I did no such thing and clicked to start the download. Even with a relatively poor signal the 200mb+ download only took around five minutes. Once installed the first thing to look at was Google Now. This was unavailable on the previous Android release and to me seems the main new toy. Other than that things appear relatively similar but I’m sure there is a lot more to this upgrade than Google Now and some customisation of existing screens. However, that information is no doubt covered in great detail on the web so I won’t bore you with any more tech talk! In short if you are using an Sony Xperia phone and haven’t been upgraded to Jellybean then complain and complain loud to your provider!! This entry was posted in Phones, Real World, Technology and tagged Jelly Bean, Mobile, Mobile Phones, Phone, Sony, T-Mobile, Technology, Xperia on June 30, 2013 by paulmclem. I could add my own comments but the article from the horses mouth i.e. Sony tells you all you need to know. Bottom line is you need to wait until your phone says the upgrade is available. I actually tried using the Sony PC Companion software to check for an update but it tells me my phone is already up to date. This implies to me that my mobile provider (T-Mobile) must need to make it available to their customers. At the moment they don’t appear to have done this. I will keep reading the Sony blog over the next few weeks as well as trying to get more information from T-Mobile. When eventually the upgrade appears on my phone I’ll report back on life in Jelly Bean land. According to the blog post linked to above it sounds like a significant upgrade. Not sure if I can contain my excitement much longer ! This entry was posted in Phones, Technology and tagged Android, Ice Cream Sandwich, Jelly Bean, Mobile, Phones, Sony, T-Mobile, Updates, Xperia T on February 10, 2013 by paulmclem. 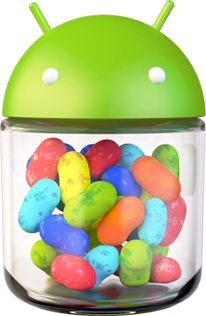 Android Upgrade Alert – Jelly Bean is Coming ! As the story says all Xperia T users can expect an imminent upgrade to the Jelly Bean version of Android. Amongst other things this will give us access to is the rather neat looking Goggle Now application. Not exactly sure when the upgrade will arrive but sometime in the next month or so would seem a fair bet. These upgrades seem to be done on a region by region basis and the fact that the Netherlands has the upgrade hopefully means the United Kingdom isn’t far behind. I like upgrades. Doesn’t everybody ? This entry was posted in Phones, Technology and tagged Android, Jelly Bean, Sony, Upgrade, Xperia on February 3, 2013 by paulmclem. Virus Scans. A Necessary Evil ? Yes I get the science. Virus’s can kill your computer. They can also be passed on and infect others as well as entire networks. Got it. So we need to make sure our pc’s and laptops remain free of the dratted techno-germs. However, does the scanning process need to be so slow ? At work my desktop has a scheduled scan every day at 10am. For the next 90 minutes the PC runs like it has about 1K of RAM. I complained about it was told they know it is making PC’s slow but all they could offer was to reschedule it i.e. make my PC slower at another time of the day, great ! At home things are less dramatic but still annoying. We now have AVG Internet Security and after initially appearing relatively quick it too is now grinding on for ever. Similar to work the affect of the scan running is to make other areas of the desktop slower. If anyone out in the world of virus scanning is reading my blog can I ask one question ? Will they always be this slow ? Getting to the stage that people will start turning them off and that could have disastrous consequences. Make them quicker, make them more often just do something ! This entry was posted in Computers, Technology and tagged computer, virus scanning on January 27, 2013 by paulmclem. Until 2011 I’d only ever had “Pay As You Go” deals on my mobiles. However, the evolution of the Smartphone (does that need capitals ?) changed all that. Why should any of us ever be distanced from the one we love the most i.e. the Internet. Well it’s obvious, we shouldn’t, hence time to get with the programme. Net result was in 2011 I hooked up with T-Mobile and HTC to get a 2 year deal coupling the German’s giants network and the Taiwanese companies Desire HD handset. Have to say it was a happy arrangement. Good phone and unlike seemingly many people out there I didn’t have a single problem with my network provider. As of 18/01 I was eligible for an upgrade. Sounded exciting and indeed it was. What made it even more fun was that T-Mobile had a sale on. To cut a relatively short story slightly shorter I have moved onto a Sony Xperia T. Contract is better, cost is a little less and the handset was free. In summary I have got an improved phone and plan for less money. At the moment I am enjoying the new phone. Although I look at it more as a small computer which can make phone calls. Subtle but key difference. My other half also upgraded and is now fidgeting endlessly with her new Samsung Galaxy S3. She seems well pleased. All in all a successful process and two satisfied customers. Thanks T-Mobile. This entry was posted in Phones, Technology and tagged Galaxy, HTC, Samsung, Sony, T-Mobile, Xperia on January 26, 2013 by paulmclem.